You know waketime length is very important for good naps, but you have no idea how to calculate waketime length. When do you start? When do you end? How do you know how long your baby was up? This post answers that for you. 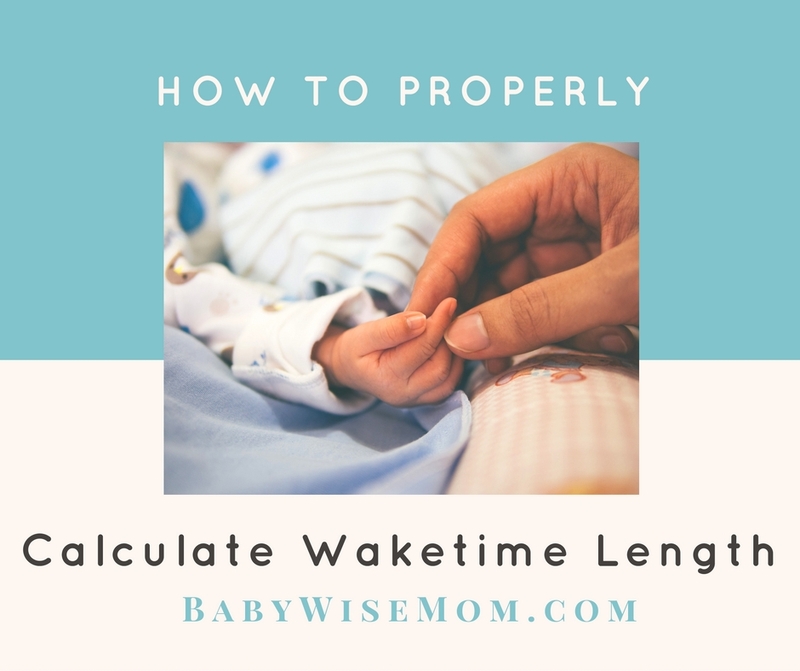 If you want your baby to take a nice long nap, one of the most important bits of knowledge for you to have is to know how to properly calculate waketime length. The cornerstone for a good nap is having the correct waketime legnth. I have talked extensively about how to figure waketime length out and have given you ballpark numbers to aim for. That is all great knowledge, but you need to know how to calculate waketime length. Waketime starts when your baby wakes up. Waketime ends when you put your baby in his crib for a nap (or bedtime). Waketime DOES include feeding time. It is time your baby is awake. It sounds easy until you add in the “What ifs”. What if your baby doesn’t fall asleep for thirty minutes, is that still when waketime ended? Yes. The purpose of even calculating waketime length is to know how long is perfect for your baby to fall asleep quickly and take a good nap. That thirty minutes awake will not be “nap” time, but it also isn’t calculated into your “waketime.” Take note that with that waketime length, your baby took thirty minutes to fall asleep. That is good data to track. If you need help tracking, be sure to purchase my Logs eBook for only one dollar! What if your baby wakes up early and stays in the crib for a while before you get her up? Is that still when it starts? This is where things can get very tricky. The time your baby spends awake in the crib before you get her up is waketime. It is not, however, necessarily minute for minute. This is where you will have to experiment. For some babies, every minute awake in the crib needs to be counted straight across for minutes of waketime. For others, it is more of a “half-time.” So if your baby was awake for 20 minutes in the crib before you got her up, you would count that as ten minutes. The only way to know what is best for her is to experiment and see what happens. 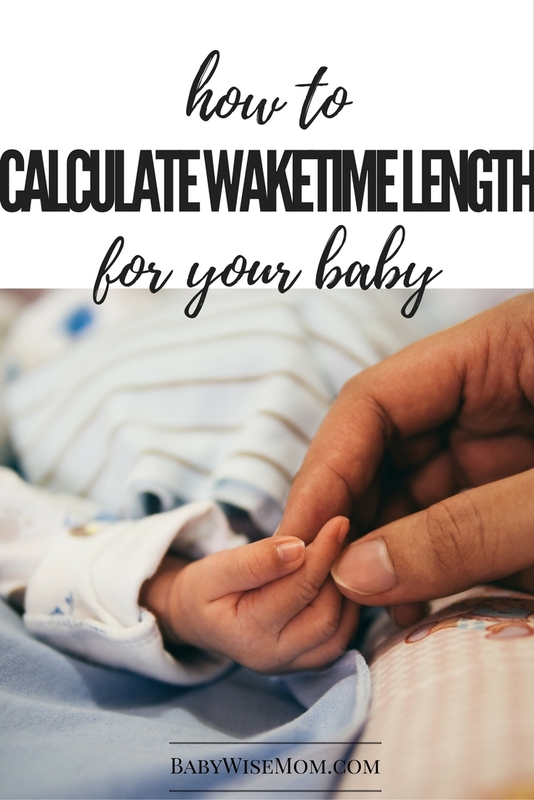 Now you know just how to count waketime, so in your quest for finding your baby’s optimal waketime length, you can calculate correctly. You are well on your way to better naps! You can also find me on Instagram, posting pictures from our days as well as quick tips.